Black Noise & Peyotes ñ Illegal Tranceactions Artist: Black Noise & Peyotes Name: Illegal Transactions EP Released: November 2015 Catalogue no: TSANGEP014 Label: Sangoma Records Genre: Electronic Style: Psychedelic Trance Format: Digital EP Mastering: Alex (E.V.P) @ Wild Mastering Artwork: Ashtak Singh (Trilochana) Out now! Bandcamp: http://goo.gl/kwSvqV Beatport: https://goo.gl/SNGRKa Juno: http://www.junodownload.com/products/black-noise-peyotes-illegal-transactions-ep/2931056-02/ Tracklist: 1. Black Noise & Peyotes - Gravitational Waves 2. Black Noise & Peyotes - Illegal Transactions 3. Black Noise & Peyotes - The High Dose Experience 4. Black Noise - In Orbit We at Sangoma Records are more then happy to present our next EP, filled with full power morning maniac music and with a good dose of the golden Goa days. Mind your head, the modulators are taking over! Black Noise is one of the leading artists of the new psychedelic Greek school which love to bend brains with their trademark analogue sounds. For this release Costas Angelopoulos teamed up with Panayiotis Tsokris (Peyotes) to present three collaboration tunes, and one solo track fresh out of the studio from the city of the gods, Athens. AsBlack Noise releases on labels such as TIP Records, Goa Productions, Nano, BMSS, Phantasm & others, we at Sangoma are happy to present you something that corresponds with our idea of morning music. These tunes will keep the party going and are far away from the generic and predictable formula music which unfortunately dominates many contemporary daytime dance-floors. Expect some energetic psychedelia for a deep trance - aimed for the euphoric and ecstatic moments that make you explore the mysteries of the universe. https://www.facebook.com/TheBlackNoiseProject https://soundcloud.com/theblacknoiseproject https://soundcloud.com/acid-drop-tsok https://www.facebook.com/Peyotes-425928967547199/info/ The man behind The Black Noise Project is Costas Angelopoulos aka Xtatic Shiva, a Psychedelic and Goa Trance producer from Athens, Greece. He's been into music production since 2005 and Black Noise is his latest project that dives into Deep Psychedelic Trance and explores the mysteries of the universe and its contents by translating colors, feelings, memories, scents and sounds into rhythmic bursts of energy. Shorlty after its birth the project releases music on Nano, Phantasm, Blacklite, BMSS, Geomagnetic, Goa Productions and Maharetta records and joins legendary TIP Records' family...and the journey continues... Peyotes is Panagiotis Tsokris from Athens, Greece. His passion for music and the dance-floor vibe pushed him into producing his favorite kind, Psytrance! Expect twisted grooves, sharp leads and a night-time experience that will take you far from where you are! 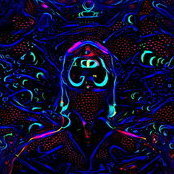 LiquidSeed Recordings ...A New Psyform Netlabel with free music . !